Knit even faster! 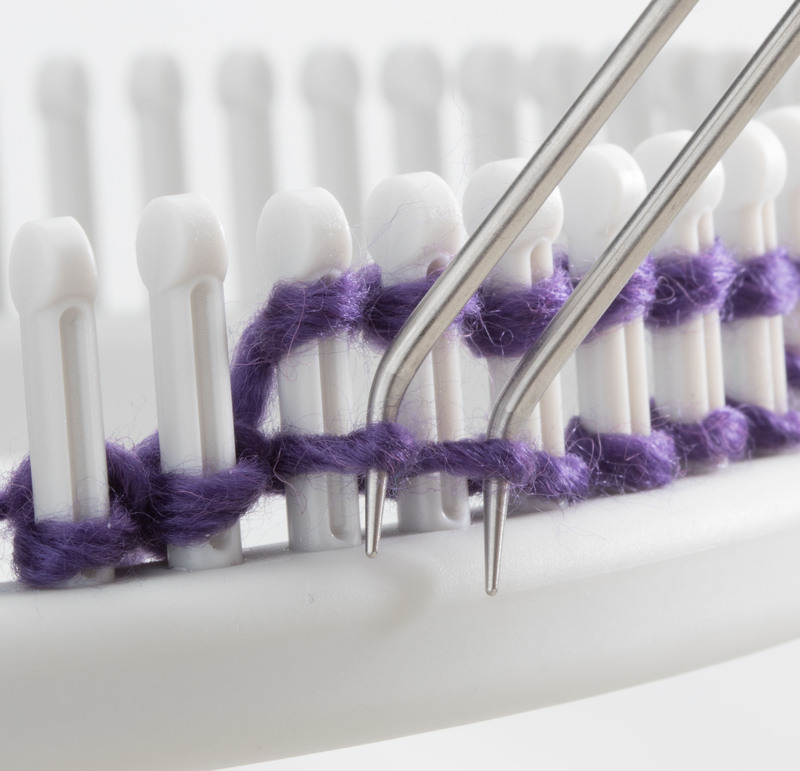 Loop over two pegs at the same time and reduce knitting time. 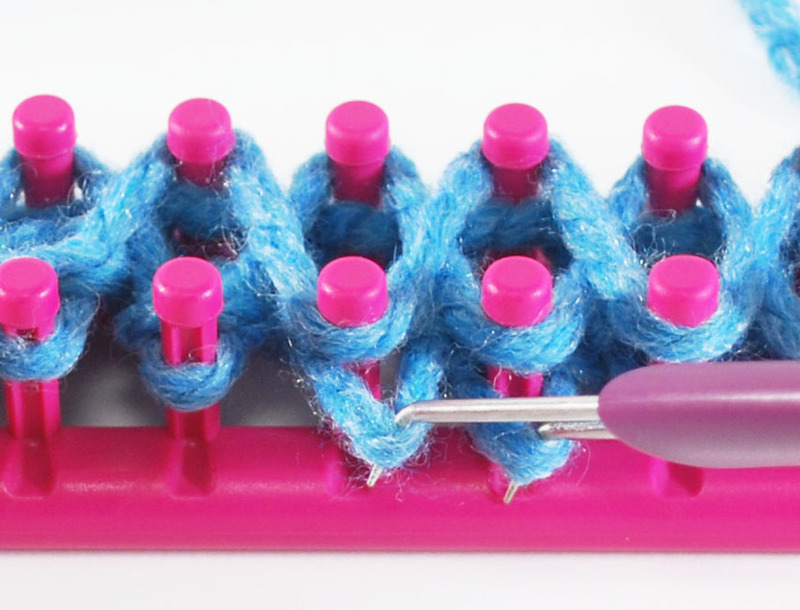 This new 'patent pending' double knit hook works great with single knitting ewrap stitches and all double knitting. Two hook set for small and large gauge knitting.